Hardcover. 24 × 24 cm. €27 + €13 shipping, worldwide. Note: The shop is closed until late July. Feel free to order books – they just won’t be shipped until later. Apologies. 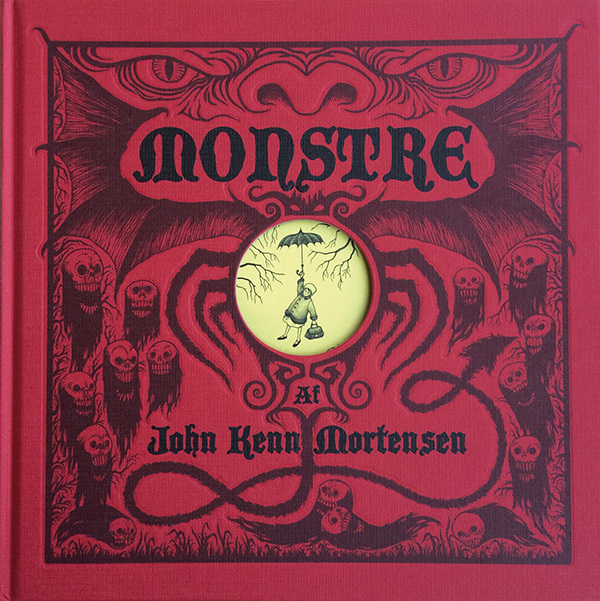 Like a lost Edward Gorey in a dark Scandinavian forest, with Cthulhu lurking underground, John Kenn Mortensen spews his friendly nightmares onto paper. – 180 of them, all told. 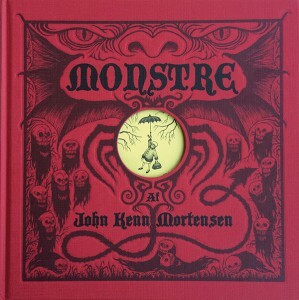 Includes an interview, translated into English, with John, by the author Benni Bødker. The books are shipped from Denmark whose postal service has recently gone quasi-postapocalyptic. Therefore: Books might arrive within a week, but for some territories (US, included) it may be closer to a month. Sorry. 24 euros on top for Europe, even more elsewhere. Drop me a line if you want it, at info@abenmalerjohn.dk (removing the ‘john’ bit which is there to deter spambots). Also: Email me if you wish to buy more than one book. I no longer have the rights to sell Post-It Monsters outside Denmark but UK, French and Italian editions exist, with the same content. More Post-It Monsters is currently sold out.